Ask your family, friends and neighbours for the names of contractors or trades professionals they’ve used and make a list of companies that serve your area. I work with reputable contractors and other professionals in our local area— so give me a call for a referral. Once you have a list of companies, call them and ask if they specialize in your type of project. If you’re renovating the kitchen, you’ll want a company that has completed several similar kitchen renovations; they’ll know the applicable regulations and codes that pertain to your project. Ask how many other projects they’re managing at the moment, as this may impact when they can begin working on your renovation. Contact your province’s consumer protection agency to review the reputation of the companies on your list. Check online consumer review sites. If possible, call previous clients and ask specific questions pertaining to their experience working with the company. Schedule times with the companies to see completed projects so you can get an idea of the level of quality to expect. Also, verify that all companies under consideration are licensed and check for any past judgments against them from prior jobs. In most provinces, all major remodelling projects must be done by a licensed contractor. 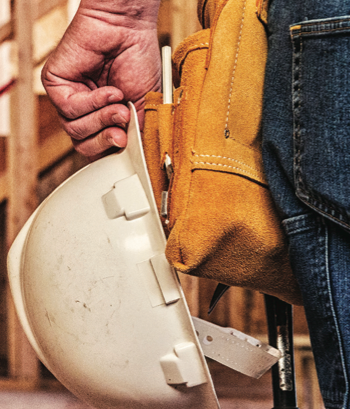 Be aware that if you use an unlicensed contractor, you may be responsible for any work that is not to code or injuries your worker incurs on the job. Meeting face-to-face not only allows you to ask more questions, it also provides insight into the contractor’s communication style. It can also provide insight into their character and attention to detail in the way they present themselves and their company. Since you’ll be working closely with the contractor and team, you’ll want to make sure you trust them. Ask the companies on your list for an estimate and have them break down the costs, including materials, labour and expenses. The contractor may want a set of blueprints if you worked with an architect, and will likely ask about your budget and expected start times. When you review the estimates, keep in mind that materials alone tend to make up about 40 percent of the total cost. If a bid seems too low, the company may cut corners. Similarly, a high price doesn’t necessarily mean high quality. Use the estimates as a guide and choose the contractor with the best reputation who you feel the most comfortable with and who communicates well with you.